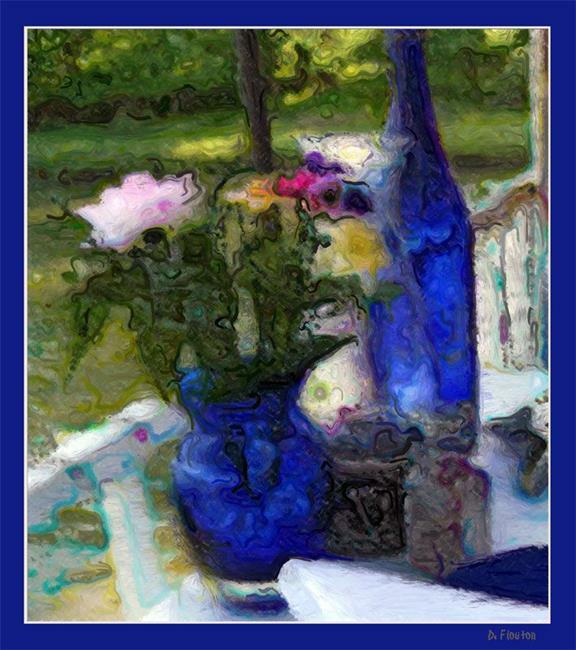 Digitally painted from my own photograph to emulate paint strokes of impressionist artists. I was particularly attracted to the blue of the vase and water bottle which lent a cool note to the lovely floral setting on a hot summer evening. Worked on in Studio Artist and Photoshop. A blue border frame was added for balance and to tie the composition together nicely.